Home » Marijuana Legalization » Hillary, Please Kiss George Goodbye! Hillary, Please Kiss George Goodbye! Posted by redherring on Jan 19, 2015 in Marijuana Legalization, Money and Politics | Comments Off on Hillary, Please Kiss George Goodbye! 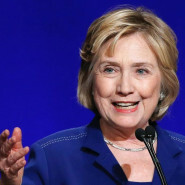 If anyone has earned the presidency in 2016, it’s Hillary Clinton. She’s the most admired person in the country, and tough enough to be president, too. She’s an expert in both international and domestic affairs. Few candidates in either party could say the same, a reason Democrats and Republicans alike honor and respect her. So many women consider her a role model and want to vote for a woman. Why would she blow that record by allowing George Soros to be a primary benefactor? He contributed to “Ready for Hillary,” a group not founded by Clinton herself. In October 2013, he donated the maximum $25,000, an amount that would earn him a place in her campaign. Please Hillary, throw him aside. Perhaps Soros came out as an early Hillary supporter, because he doesn’t want a Democratic candidate who may call into question his financial dealings, such as Elizabeth Warren, or a truly progressive candidate like Bernie Sanders. Soros’s move in Hillary’s favor was meant to squelch the opposition and silence his detractors. In the future, it could also push Hillary to support his positions, and cover for his shady financial manipulations. 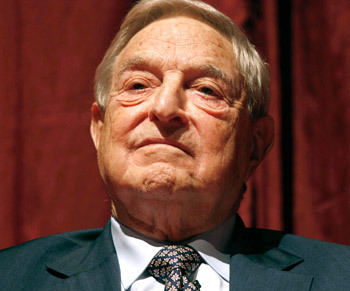 In the past, bills to curb Wall Street’s financial abuses have protected George Soros. Any candidate who takes money from George Soros loses my vote and the vote of many others, because Soros is pushing a policy to legalize marijuana and all drugs and to abandon US treaties. He’s doing it for himself, not the country. Anyone who can control the currency of other countries — and has no qualms about it — is trying to have control of the world. Twenty-three years ago he succeeded in bringing down the British pound. He’s done it to many other countries, too. It’s clear that he wants to control drug policy and drug money. Soros spent at least $25,000,000 to get John Kerry elected in 2004. It didn’t work that time. Both Sen. Kerry and Sen. Clinton supported military action in Afghanistan and the Iraq War Resolution, which means they did not share the views of George Soros. Soros’s support of Sen. Kerry and President Barack Obama seems to require a certain obligation. He would expect control over a Clinton presidency, too. Was George Soros’s influence the reason the United States did not show up to memorialize the 17 victims of Islamist terrorism in France? How was it that the leader of the free world, President Obama, did not attend the international gathering of two millions, nor send his Vice President or Secretary of State? It was not because of the president’s schedule. All other world leaders, including the heads of Israel and Palestine, were there. For years, George Soros has been wanted by the French Government for insider trading in 1988. His conviction was held up by the European High Court in 2011. Soros is well-known for his one-sided anti-Israel, pro-Palestinian stances. Continuing his predatory financial practices, Soros brought down the British pound and the Bank of England in 1992, making at least $1 billion on his financial position. During the Asian financial crisis in 1997, there was concern as to how much Soros’s market manipulation contributed to the crisis. Americans need to know that George Soros has spent close to $100,000,000, to legalize marijuana in this country, hardly making it a grass-roots effort. He’s principle financier of the successful ballots in Washington, Colorado, Oregon and the unsuccessful ballot in California. He started the Drug Policy Alliance. He gave to the maximum amounts to two Senators who supported marijuana legalization, Sen. Patrick Leahy of Vermont and Sen. Mark Udall of Colorado. Udall lost his re-election, but as a senator, he had urged Attorney General Eric Holder not to uphold federal drug laws in Colorado and Washington. Why would you trust George Soros? Why would make yourself beholden to him, who cares primarily about his money and his control over others, and would like to be king of the world? It’s hypocritical when Democrats don’t mention George Soros when they complain about billionaires skewing democracy. Big-time Republican donors also go overboard in their quest for power to influence the democratic process, but no one in their right mind can criticize the Supreme Court’s Citizens’ United ruling without criticizing George Soros. It is high time Democrats speak out against George Soros and his money. George Soros sponsors the ACLU and is a funder of the Nation Magazine, Center for American Progress and other groups. 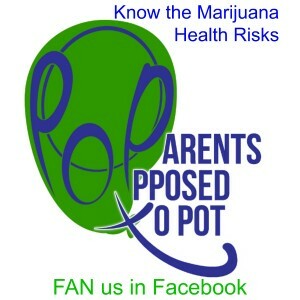 There is now a echo chamber in the media which supports marijuana legalization. Soros’s influence goes much further than just donating outside money to legalization efforts. When the Nation and MSNBC reported that “anti-marijuana legalization groups” CADCA and Partnership for a Drug Free America are tools of the pharmaceutical drug companies, they also implied those organizations were ignoring prescription pill abuse in order to protect drug company profits. Quite the contrary, those organizations work against prescription pill abuse. Dr. Carl Hart was brought onto MSNBC for comment without stating that he is on the board of the Drug Policy Alliance funded by Soros. Soros has a large group of people who have been supported by him and are beholden to him, including Vanita Gupta, nominee to head a division a major division of the Justice Department and a supporter of legalizing all drugs. Please Hillary, realize that you don’t need George Soros. There are so many other Democratic benefactors and others who could also bring in big-time donations.